Looking for Best Restaurants in Halifax? 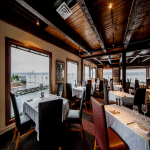 Halifax’s love of good food and good company means that it has a smorgasbord of fine restaurants to choose from. From high end Italian to all seafood, the choices for someone feeling puckish in this small coastal city are almost endless. 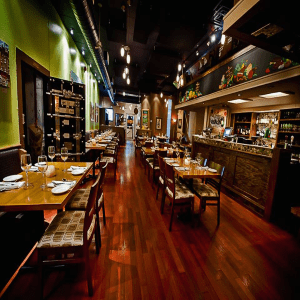 Our picks for the best Restaurants in Halifax area varies from fast food and casual dining, right up to formal & fancy. 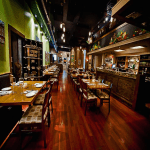 You will never be bored of visiting same list of restaurants in Halifax, because you have over 500+ restaurants in Halifax that covers all the choices and fit all different occasions starting from an amazing birthday party up to a nice romantic anniversary celebration. We’ve explored some of Halifax’s thriving culinary scene to bring you a list of the Best Restaurants in Halifax. Read on to find out where you should plan your next meal. Through an inconspicuous door and up a narrow flight of stairs you will find one of Halifax’s best known and best rated restaurants. 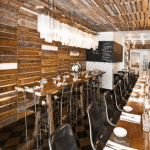 Chives Canadian Bistro prides itself on using local and sustainable ingredients to create rich and multi-faceted meals that play off their Nova Scotian roots. They offer late nights, fine wine and ever-changing menu. This young restaurant is the pared down version of its big brother (and neighbor) Chives. Sharing a kitchen, 2 Doors Down offers a homier vibe with chalkboards and wide plank tables. Its food is luscious and hearty, offering things like smoked pork chops and crispy haddock. 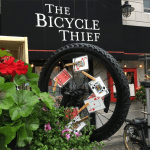 Offering one of the best views while you eat in Halifax, The Bicycle Thief is an upscale restaurant in Bishop’s Landing that directly overlooks the Halifax Harbor. It’s outdoor eating space includes a champagne bar and a roped off patio that sits directly on the boardwalk. Their fine fare is offered in a boisterous and Italian-inspired space. 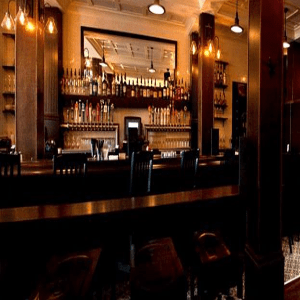 One of the many new restaurants popping up, Lot Six fills the gap with tapas, small plates, oysters and incredible cocktails. 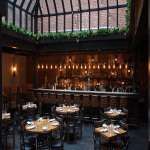 The front of the restaurant is devoted solely to their impressive oyster bar and actual bar while the back of the restaurant opens onto a stunning atrium. While the plates may be a bit steep in price for their size, the aesthetics of the space and the stellar drinks will have you returning. EDNA offers family style seating and tasty eats in the north end of Halifax. They do not take reservations and their menu changes on the regular, so go prepared to be surprised and seated with new friends. Offering new and unique dishes and an impressive cocktails menu, EDNA is a spot that won’t disappoint. 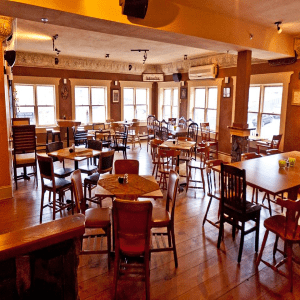 Well known for its rooftop patio and delicious local and sustainable cuisine, the Wooden Monkey anchors a downtown corner of Halifax with its quirky and warm interior. 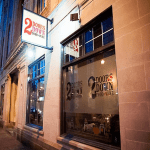 Their cocktails offer an impressive range of local and Canadian liquors and beers and their staff is well-known for their friendly demeanor. La Frasca is the new Italian joint making waves on busy Spring Garden Road. A crowded and beautifully decorated space, La Frasca Cibi & Vini is cooking full on Italian in the seaside city. 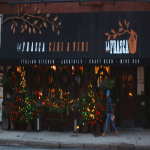 Offering good wines and great pizza and pasta, La Frasca manages to stay unique and delectable in a city where Italian restaurants come and go. 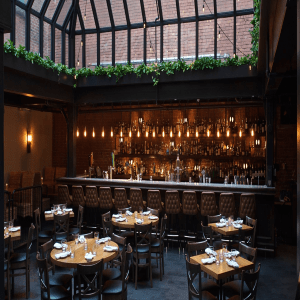 Aptly named for its past history as an auction house, The Auction House on Argyle Street offers a gorgeous atmosphere in an easy to access downtown locale. A great spot for upscale drinks and a quick bite, The Auction House has the added fun of ‘auctioning’ off meals and drinks to raise money for different charities and events. 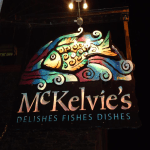 If you’re feeling seafood, McKelvie’s is the place to go. This large seafood restaurant is not your usual tourist trap with over breaded fish & chips. 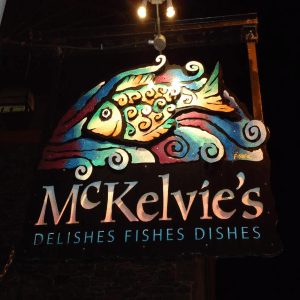 McKelvie’s is a fine dining establishment that embraces seafood’s delicate palate and flavours to bring you a an impressive menu made up almost entirely of the taste of the sea. 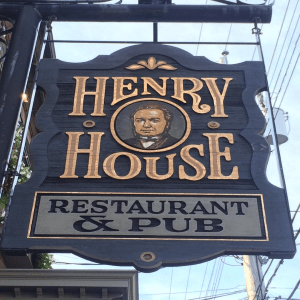 While not a fine dining establishment, Henry House offers a unique look at Halifax’s history and three separate and equally entertaining levels. The basement contains the warm, low-ceilinged pub while the street-level floor has the dining room and from Thursdays to Sundays, the upstairs becomes a high-end bar offering cocktails fashioned after different points in the century. American-Italian favorites such as linguine chicken tettrazini and rotisserie chicken. All entrées served with unlimited soup or salad and fresh garlic homeloaf It Is an amazing place where you can have lunch with your family. A great overall experience from greeting by front end staff to their invite to return as we left. Our waiter was very knowledgeable of the menu and helpful and attentive to our needs and all staff friendly. Menu prices were reasonable. Absolutely amazing! The service was over the top fantastic and the food was incredible. We ordered “Ther Drill” and felt like we got to try everything on the menu, each course better than the one before. Loved every minute and every bite.